Ever wondered with how much speed the internet is being accessed the world over? 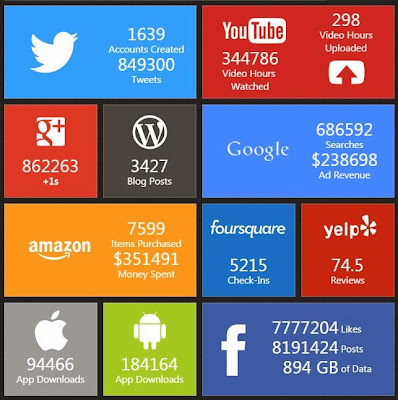 I just came upon a useful and informative concurrent monitor of internet usage and thought of sharing with my readers. The above screen shot shows the counter when I captured it. The counter shows how quickly the data is being generated on the internet and how the social media is being used at any instant.